Heat oven to 350°F. Let cookie dough stand at room temperature 10 minutes to soften. 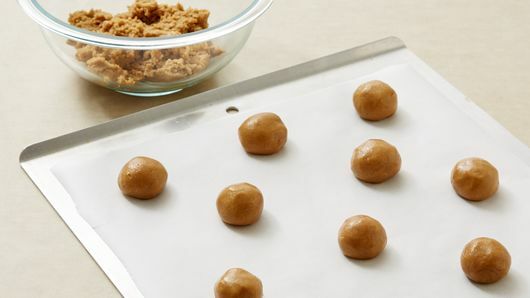 Line cookie sheets with Reynolds® Parchment Paper. Shape dough into 24 (1-inch) balls. Place 2 inches apart on cookie sheets. Bake 9 to 12 minutes or until edges are golden brown. Cool 1 minute; remove from cookie sheets to cooling racks. Cool completely, about 15 minutes. Meanwhile, in large bowl, beat cream cheese, hazelnut spread, powdered sugar and vanilla with electric mixer on medium speed about 2 minutes or until smooth. 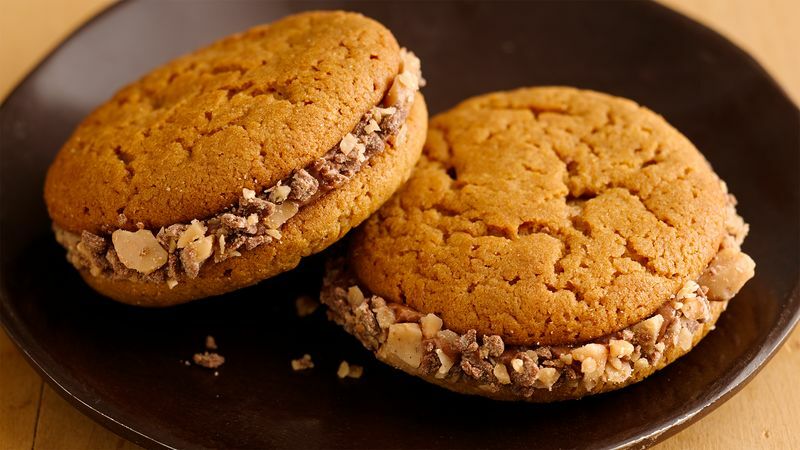 For each cookie, spread 1 heaping tablespoon cream cheese mixture onto bottom of 1 cookie. Top with second cookie, bottom side down; press together gently until cream cheese mixture just extends past edge of cookie. 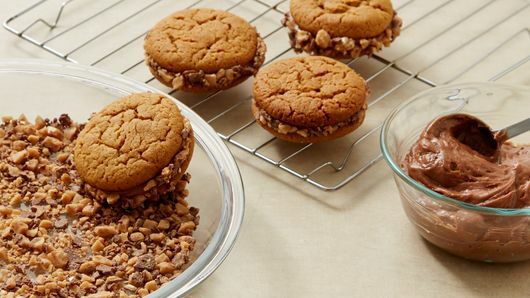 Roll cream cheese edge of cookie sandwiches in toffee bits to generously coat. Refrigerate 1 hour or until filling is set. Store covered in the refrigerator.